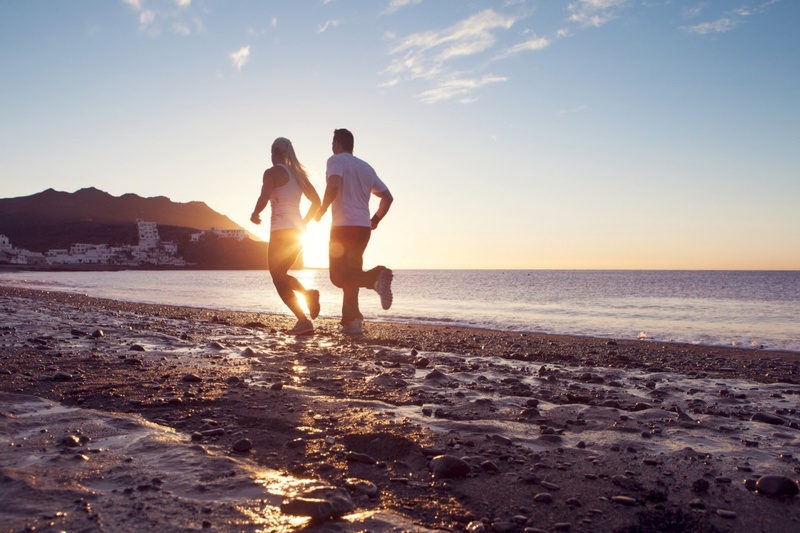 The Canary Islands’ ideal location, year-round pleasant climate and incredibly varied landscape means you can enjoy a huge range of sports on the islands, whatever time of year you visit. With everything from extreme water sports and challenging hikes to chilled-out golf and traditional Canarian wrestling, there’s a type of sport for everyone to enjoy in the Canary Islands. Since the islands are surrounded by water, there is a plethora of choice when it comes to water sports. Many of the beaches in the most touristic islands – Tenerife, Gran Canaria, Lanzarote and Fuerteventura – provide visitors with loads of family-friendly water sports, such as kayaking, parasailing, jet skiing, water skiing and paddle boarding. Snorkelling and scuba diving are also popular throughout the islands and with a great number of diving schools peppered around the coasts, you’ll have plenty of choice when it’s time to pick one. Although the Canary Islands aren’t protected by a coral reef, there are loads of dramatic rock formations and intriguing wrecks to explore under the water’s surface. 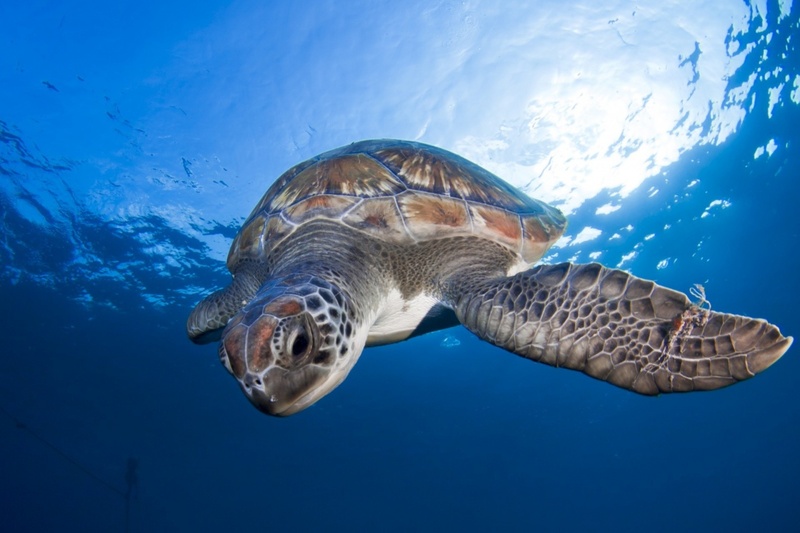 There’s also plenty of marine life to see, such as stingrays, moray eels, turtles, angel sharks and a myriad of multi-coloured fish. El Hierro is one of the best places for scuba diving and snorkelling – just remember to splash out on an underwater camera before you visit. When it comes to surfing, it doesn’t get much better than the beaches of Lanzarote. This island is blessed with frequent windy conditions which make it ideal for this popular sport. Costa Teguise has hosted a handful of international windsurfing competitions over the years, so if you’re eager to ride some waves, that’s the beach you want to go to. For other types of surfing, such as kite surfing and body boarding, it’s got to be Playa el Cabezo in El Médano, Tenerife. Thanks to the islands’ diverse landscape, you’ll be spoilt for choice when it comes to land sports in the Canary Islands. There are championship golf courses scattered throughout the islands, most of which come with achingly beautiful vistas. 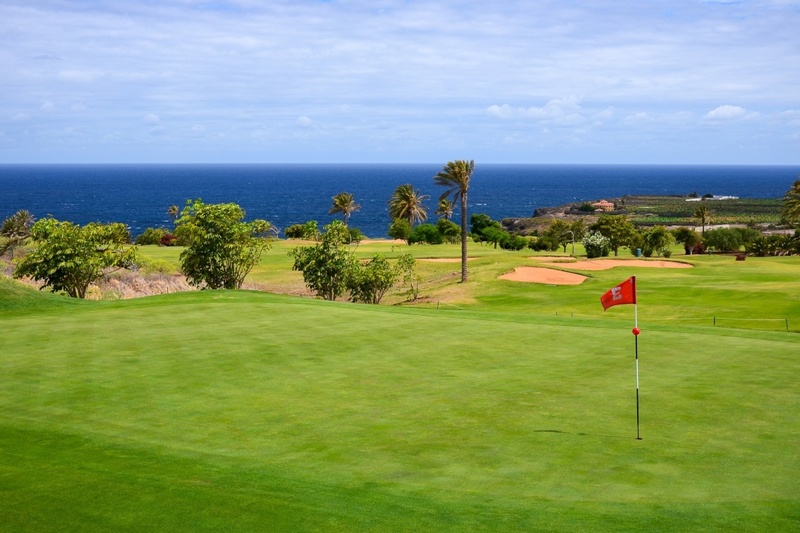 Tecina Golf Course in La Gomera is arguably the best in the Canaries and offers spectacular views which stretch across the Atlantic over to Tenerife. Many of the hotels throughout the islands provide tennis courts, paddle courts and petanque courts, but if you’d like something a bit more off-the-beaten track, grab a map and head off on a hike. La Gomera offers a number of charming routes which wind through the fairytale-inspired forests, whilst Fuerteventura provides a wonderful coastal route which will take you past a spot where hundreds of chipmunks live. If walking isn’t your thing, you can always explore the routes on bike or even motorised scooter. If you’re searching for a serious thrill, you’ll be pleased to hear that there are loads of extreme sports to try throughout the Canaries. Hang gliding, paragliding, zip lining, rock climbing, abseiling, motorcross, paintballing and sand boarding are just some of the adrenaline-pumping activities you can expect to enjoy during your visit to the Canary Islands.